Could she be wearing a claret ribbon in the merry month of May? It is FA Cup time once more and the stage where the big teams finally enter the famous competition which started with the Extra Preliminary Round on 6 August 2016. A total of 672 ties have been played to date with another 63 to play before someone lifts the trophy at Wembley on 27th May. In total 828 teams will have featured in the competition and there can only be one winner; can the ribbons on the cup this year be claret and blue? There were 64 teams in the hat for 3rd draw and so it was rather unfortunate to get drawn against one of the big 4 or 5 clubs. 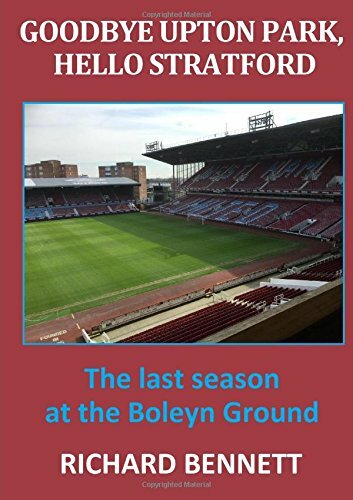 Still it is a home tie and the Hammers have only lost one of the last 8 home FA Cup encounters and that was last season in the 6th round replay against the other team from Manchester. This is a big game for us and big game for them, it is the FA Cup and it is big for the fans. The FA Cup is the only remaining chance of glory for West Ham this season following our exit from both the Europa League and EFL Cup and the continued struggles in the Premier League. It is only 5 games to the Final so anything could happen and a win today can take us a step nearer the prize. Unfortunately there are only 4 all Premier League ties in this year’s 3rd round draw (and one of those is Hull v Swansea) and so there is no opportunity for the bigger teams to knock each other out and create a clear path to the Final. The overall record against Manchester City of home turf remains a positive one although we only won one of the last 6 meetings at Upton Park. The record against City has been on a downward trend since they were adopted as a Middle Eastern plaything in 2008 and during this era we have only beaten them 3 times out of 16. West Ham have only met City three times in the FA Cup before and hold a 2 to 1 advantage in the series. Ever since Manchester United withdrew from the 1999/2000 completion the FA Cup has lost some of its glamour and sparkle. Managers of top teams began to treat it very much as a secondary priority behind the cash-raking goal of Champion’s League qualification and began to field ‘weakened’ teams made up of squad or younger players. For some unaccountable reason managers of other Premier League teams have adopted the same tactic possibly in the hope that it deposits some big-time manager stardust onto their shoulders as well. The consequences are that it is almost impossible to predict how the teams will line-up especially during the early rounds. The cup is special because the lower team can beat the big teams, which is why it is fascinating, I’m looking forward to it, but of course it’s a Premier League game so it will be tough. We were unlucky in the draw. I am hoping that Slaven Bilic is confident enough in his ability to stay away from relegation trouble to give this one his best shot. We don’t play again for 8 days and so fatigue should not be an issue and, my perception is, that most injuries occur in training rather than in competitive games anyway. Kouyate and Ayew have now set sail for the Africa Cup of Nations while Mark Noble, Reece Oxford, Sam Byram and James Collins may be available. Someone definitely available is Sofiane Feghouli after his ludicrous Mike Dean red card was rescinded by the FA Incompetent Referee panel. If Manchester City have a weakness it is in central defence particularly if it comprises Otamendi and the massively over-hyped John Stones; for this reason I would like to see birthday boy Andy Carroll let loose on them with maybe Michail Antonio playing just behind. I assume that Adrian will back, courtesy of the Cup rotation code, helping the Post to keep the score respectable. Manchester City are missing Gundogan, Kompany, Sane and possibly Fernando (through injury) and Fernandinho )through suspension). It would be nice if Aguero, De Bruyne and Sterling were also given the night off (although Guardiola always took cup games seriously whilst at Bayern); not that I rate Sterling too highly in the normal course of events but he always seems to give our defenders the run around. A first encounter this season with young Michael Oliver from Northumberland. Oliver was in charge of two West Ham games last season; both at home against Southampton (won 2-1) and Swansea (lost 1-4). In 21 games this season Oliver has shown 70 Yellow cards and a solitary Red. Despite his prudence with red cards Oliver is one of the top penalty givers (just behind Mike Dean) with 8 awarded so far this season.